A cold wind is blowing through the streets and at this time of year it’s usually a bit dead in town. But not today, for something very special is in the air..
People are out and about all around town. They walk and ride their bicycles from club to club and there’s music to be heard. 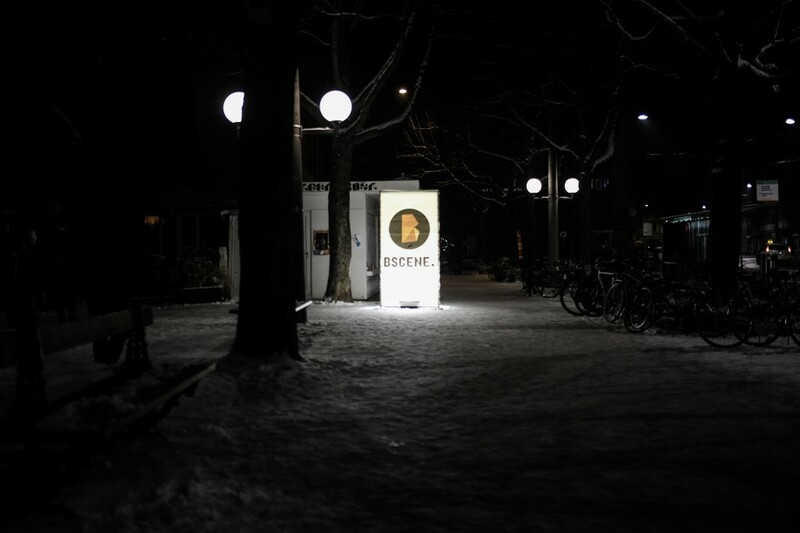 Because BScene, the Basel Club Festival celebrates music at its finest. Since 1996, local, Swiss and international musicians show Basel what they are capable of on stage – and the city dances to their sound! No matter if you are a star or a newcomer, everybody gets the chance to hit the stage and play to the audience. If you want to know what kind of sounds the clubs are proposing in 2019, check out this year’s Line-Up! 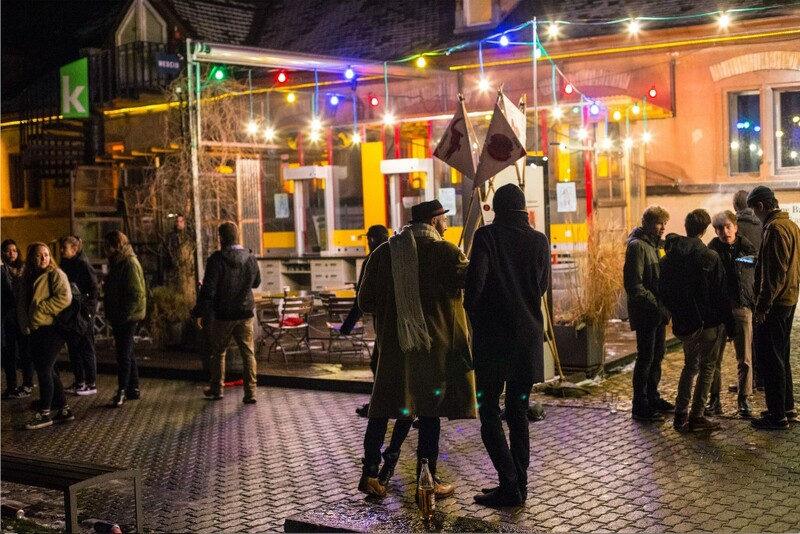 Always very much appreciated for its cozy and relaxed atmosphere, as well as the quality of the line-up of course, the Vorstadt Sounds Festival offers an exciting overview of the Swiss music scene on May 15 & 16 2015 with innovative, fresh bands in Zurich-Albisrieden. With 21 bands on 3 stages it offers an attractive and varied programme at absolutely reasonable prices. Here we go…! The Hivernales line-up is officially announced and it rocks and it beats!!! and many more swiss artists! But also: DOPE D.O.D., Talisco, Peace, Make The Girl Dance Live, Taiwan Mc, Salut C’est Cool, The Family Rain, La Fine Equipe, Rocky, Murkage………..
Get ready for a hot musical winter! C U there from February, 26 to March, 1! Saturday – 45 gigs listed for tonight! What would you like to listen to tonight? 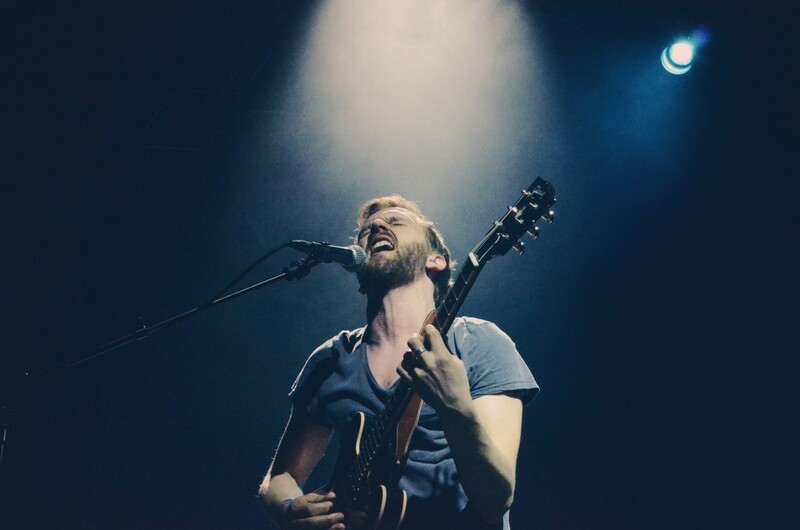 Why not go out and discover some of the awesome live acts that play only for you. Support them with a visit in your local concert place. 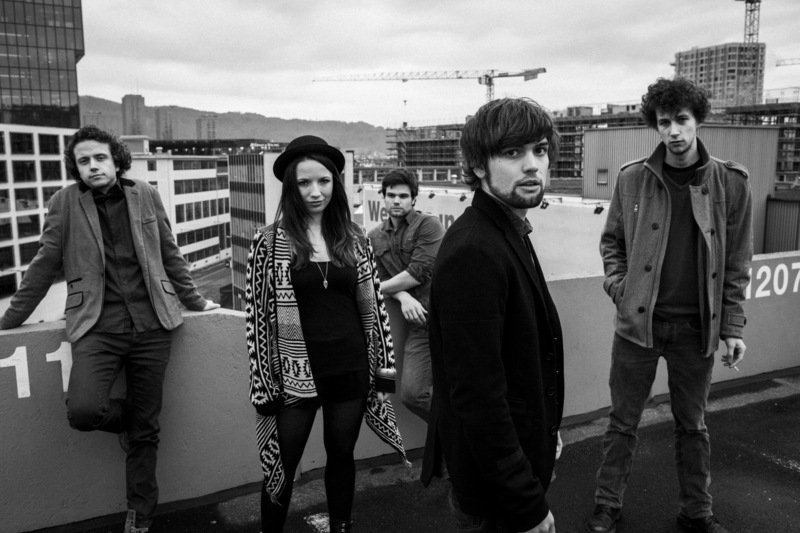 Swiss music is vivid and only waits to be explored. Would you rather like some Folk like Ana And The Black Mamba or Blues by Bluez Ballz, or rather some Pop like Heidi Happy or Fedora Saura? Or are you rather in the mood for some metal as Infinitas or self explaining Burn Out Punkrock? Or do you in contrast prefer Reggae, maybe from Sayam, Famara or an album release party by Kulturattentat? … that’s just a tiny part! 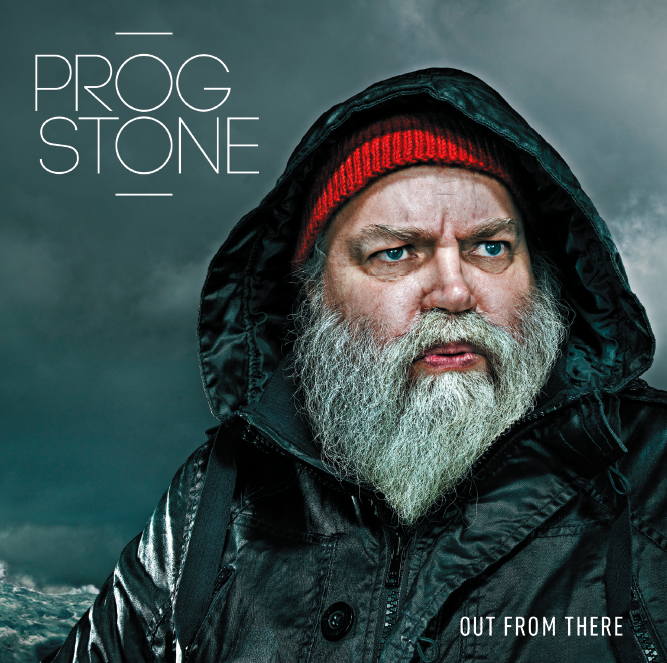 For the lovers of Rock, Techno, Hip Hop, Breakbeats, whatever you prefer you will find something that will please you. 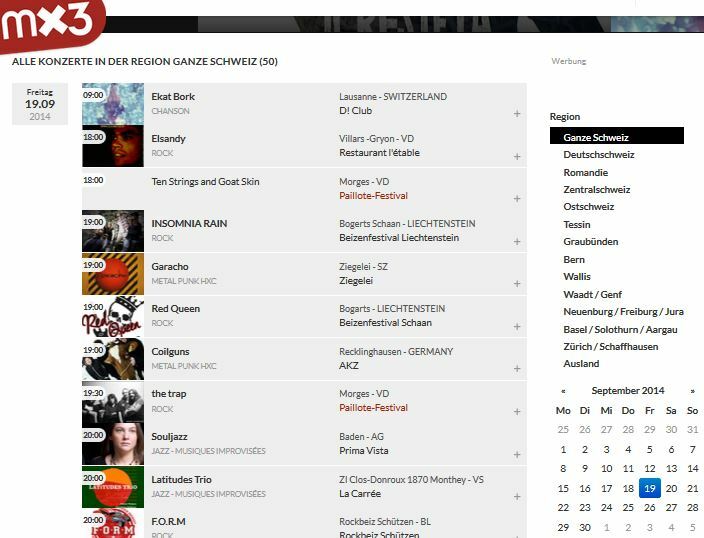 Give it a go and cheers to some excellent concerts and parties tonight, all over Switzerland and elsewhere, whoever you decide to listen to! ===> CLICK HERE to see all concerts. 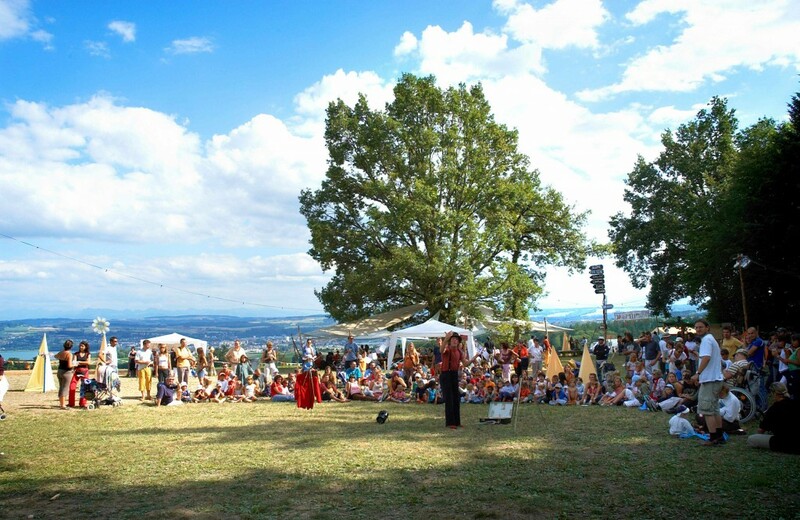 The Open Air Berg (TG) will take place on September 12 and 13. In June we had already written a post on this great event (which you can read here). At the time, the Line-Up was not complete yet, but after two different contests it is now full. Here are the bands that have won and will join Stefanie Heinzmann, Eluveitie, Barbie Sailers, When they Wake and co in September! The “Festival du Lombric” starts on Friday! Das “Festival du Lombric” fängt am Freitag in Giez (neben Yverdon) an. Konzerte, Workshops und Animationen für Gross und Klein… es wird toll und in der freien Natur! 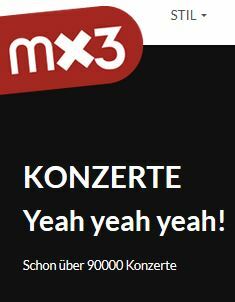 Erfahre mehr auf der Mx3 Seite des Festivals und auf dessen Website.